John Harvey spoke with Jane Wales on the occasion of this year’s Global Philanthropy Forum. John was especially keen to explore the Forum’s 15-year history and the lessons Jane has learned along the way. JH The Global Philanthropy Forum is now celebrating 15 years, and you’ve been with the organization for most of its history. 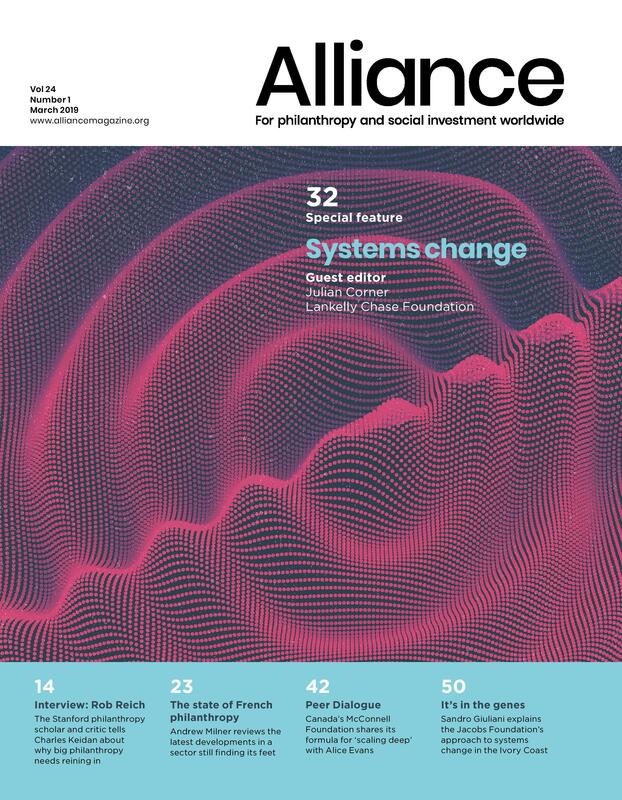 What are some of the key lessons you have learned about philanthropy in the global space over these years? JW I think the key lessons are, number one, that collaboration is always, always a plus. And that means collaborating not only with individual philanthropists but also with other organizations that share your goals or have complementary goals. It’s such a rich field. If you believe in philanthropy and you believe in the social sector, strengthening your neighbour in this work is not only smart, but it advances your mission. It’s also more fun! The second lesson is that philanthropy is constantly inventing. So it’s a matter of continual adaptation. Whenever you get to the point of thinking, ‘Well, we have the tools we need and can relax now’, a new tool emerges – and it almost always comes from an unexpected place, in unanticipated ways. Jim Kim didn’t say this yesterday, but he has said in other settings that the big ideas in development keep coming from outside of the official development community. They keep coming from non-profits, from social enterprises, and from philanthropists and social investors. They’re in a position at the World Bank and elsewhere to take those ideas to scale, but the invention happens outside. If you’re trying to build a community the way we are at the Global Philanthropy Forum, you have to be inventive too. You need not only to reflect the inventions that are out there, but you need also to be inventive yourself. It’s easy to be out of date. JH Putting a slightly different hat on, that of a leader of a philanthropic support organization whose aim is to promote effective philanthropy in the global space, what would you say have been some of the key lessons you’ve learned? JW First, I’d rephrase this. Rather than ‘leader’, my role has been as someone who has served the organization. If you think of yourself as leading, invariably you do a bad job. So as someone who has served this organization for over a decade now, I think the key has been this: let the organization grow in its own way. It’s great to have a strategic plan and to think strategically. But if you don’t think opportunistically, you won’t be serving your members. You’ll be trying to drive something when it’s better to support its evolution. As you know, we’ve had a regional approach, trying to replicate our model in fast-growing economies elsewhere. This has been as much a function of opportunities that presented themselves as it was of formal planning. I’ll give you two key examples of that. 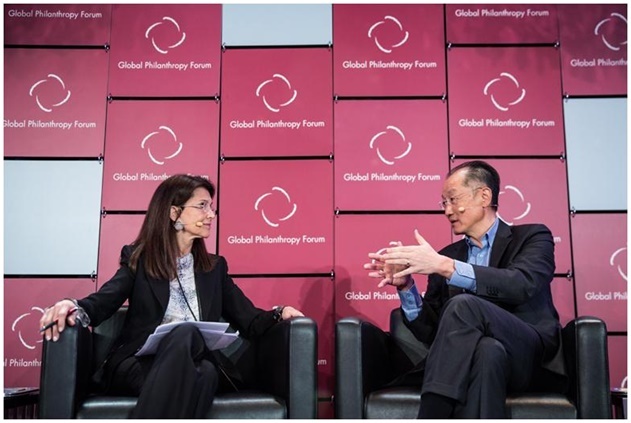 When it came to Brazil, a philanthropist from Brazil attended the Global Philanthropy Forum, approached us and said, ‘I want to see this in Brazil. Can you help us out?’ We were in an enviable position of knowing an organization, IDIS, who is on the ground and really capable. There were other organizations serving philanthropists in Brazil, including GIFE and WINGS, so there was an opportunity to work not only with IDIS but also with an expanded community. There’s a second example of this. At one of our Global Philanthropy Forums there were two different African philanthropists, and each approached me individually to say that they really felt a need for this in Africa and asking if we could build something there. We had hoped to do this in Africa eventually, but we thought five years later. Our response was yes, of course we’ll do this, under a few conditions. One is that we incubate it, but within three years it must be spun off into its own organization that is Africa-led, Africa-managed, and Africa-governed. Second, the initial financial support must come from Africa. They succeeded in raising the funds, so we were able to match with other foundation grants. Come October, we will be hosting our second African Philanthropy Forum. JH Guiding membership organizations can be tricky. On the one hand, your job is to support the needs and interests of your members. On the other, as something of an outsider you have a range of experiences and ideas that members might not be aware of but which could be quite helpful to them. How do you balance these tensions? JW Well first of all, the knowledge that you and I have of philanthropy actually comes from our members, from observing them and learning about their philanthropy. So I’m not sure I have knowledge that is truly independent of the philanthropists themselves. I think that the big challenge in any representative situation, in any collective enterprise, is how to ensure that the whole is reflected, rather than just one philanthropist or even one branch of philanthropy. That’s where you can add value. As you know, we started in Silicon Valley, and many Silicon Valley philanthropists have a different experience, than, say, philanthropists in Brazil. I’ve often thought that philanthropists in Silicon Valley, people who come out of the high-tech industry, may have more in common with people who made their wealth in Bangalore. They might both think in terms of a problem being a system and the solution being able to replace it with a better system. So differences between philanthropists don’t tend to be regional so much as based on where they are in their life and how they think, in part because of their own experience and profession. JH Looking back at your time at the Global Philanthropy Forum, what are you most proud of? JW I think the best way to answer that is, what do I find most thrilling? I think the thing I find most thrilling is the emergence of philanthropists in societies where generosity was a large part of the culture but organized philanthropy was not. So I find it thrilling to work with philanthropists in Nigeria, Ghana, Kenya, South Africa, Brazil, India … I think pride, which suggests playing a role, has everything to do with connections made, introductions made that led to action. It’s connecting the dots among ideas, among actors, that is both most fun and also most impactful. And there are moments when you say, ‘Gosh, because of that phone number I shared or that introduction I made, something big happened.’ Sometimes it’s happenstance and quite accidental and sometimes it’s highly purposeful. Our model is to be a matchmaker among philanthropists, so the moment of pride is the one where that really clicks and leads to something significant. That feels good, and it’s also a lot of fun. JH Looking ahead, could you give us a preview of coming attractions for the Global Philanthropy Forum? JW Well, there’s the African Philanthropy Forum that takes place in Kigali in October and then the next Brazilian Philanthropy Forum in São Paolo in November. We’re also taking a series of opportunities to bring people together and gather their ideas, so during the World Economic Forum Africa in Cape Town in June, we’ll be hosting a lunch for the APF, and during the UN General Assembly week/Clinton Global Initiative week – whichever you think of it as – we’ll be hosting a dinner there for African philanthropists. These will be chances for philanthropists to meet each other. What’s been really interesting to us is how philanthropists come to us from one country and say, ‘I’m all alone. I’m the only one who does these things.’ And you say to them, ‘Well actually, I just met someone just like you.’ And they reply, ‘Well I know that guy, I’ve done business with him, but I had no idea he did philanthropy!’ There are so many quiet philanthropists as well. Jane Wales is the CEO of the Global Philanthropy Forum and World Affairs Council, and the vice president of the Aspen Institute. 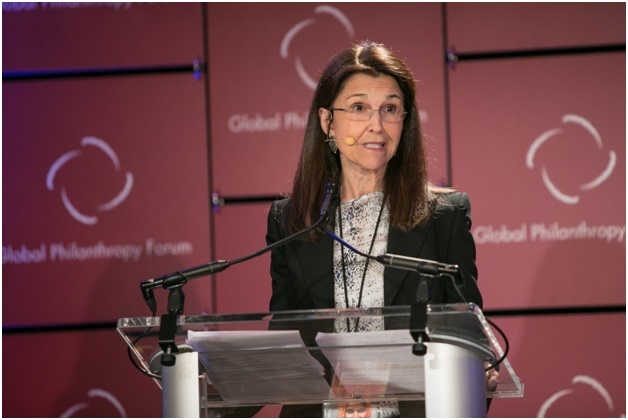 The annual 2015 Global Philanthropy Forum is currently taking place in Washington DC. John Harvey is an independent global philanthropy professional.